The faculty and programs in the Section of Geriatrics are recognized for excellence at the national level. The section has received many grants and awards in recognition of this excellence. Medical students at Boston University School of Medical receive classroom-based and clinical education in geriatric medicine through a variety of required and voluntary opportunities. Students from other universities are invited to join us for unique research and learning opportunities. Interns and Residents receive training and experience in Geriatric Medicine through rotations in inpatient and outpatient settings. Boston Medical Center offers fellowships in Geriatric Medicine and Geriatric Oncology, along with other advanced training opportunities. The Section of Geriatrics seeks to continually educate health professionals in the care of older adults with complex health concerns. This occurs through weekly conferences and various special programs for faculty and practicing physicians. 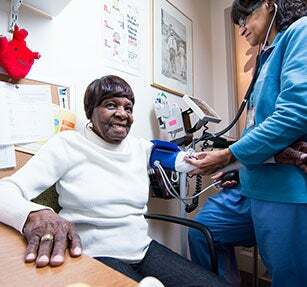 Helpful information, resources and support about Geriatrics.